Ohhh, Octavia Butler. You are a clever, clever writer. My first experience with Butler was when I taught a Science Fiction and Fantasy class. I picked the short story, "Bloodchild", completely at random because I knew of Butler, but had never read her work myself. I was completely blow away by the story and my class had a profound discussion of gender roles, power structures, and colonization. Just a fascinating, multi-faceted story. Having read that short story really enriched my experience reading Kindred for this More Diverse Universe (#Diversiverse) event. It's obvious that many of the same themes run through these two works, and it was interesting to see them examined from different points of view and in different historical and narrative contexts. Kindred is the story of Dana, an African American woman living in 1976, working as a writer, and married to a white man. She's educated, she's headstrong, she's settled. Until she's thrown back in time to the slave-holding South in the 1800s and saves the life of a white child named Rufus. On that first visit, she's barely there any time before she's again sucked into her own time. As it turns out, she's continually called to save Rufus's life as he grows up. The time she spends in the past is variable and while she might be gone for 8 months in the past, the time that's elapsed in 1976 might only be a few minutes or hours. As Dana spends more time in the past she forges a strong, and not terribly healthy, relationship with Rufus. He is certainly a product of his time. While he loves Dana (she's a savior figure to him), he also treats her like a slave! Consequential beatings and the whole nine yards. The relationship of theirs is a classic power struggle as they both need each other to survive. 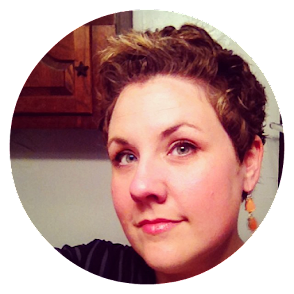 Dana quickly discovers, to her horror, how easy it is to be subjugated. Should she let Rufus's behavior slide to avoid a beating? Is it worth standing up to the owner or easier to slide into oblivion and oppression to keep one's life? To keep a family together? To pacify the owner? It's a tough book to read in spots, for sure, but so well-crafted and thought-provoking. After reading "Bloodchild" it was interesting to see this oppressive society (even though it's a different society) examined from a female point-of-view and in a different historical context. My only problem with this book was the writing. Butler is not a bad writer, certainly far from it, but Dana's speech and dialogue seemed stilted and stiff. I'm not sure if this was meant to differentiate her from the residents of the 19th century south or what. It was a little annoying, but nothing to damage my enjoyment of the themes here. Still haven't read Butler? You totally need to get on that! I know I'll be reading more. And if you'd rather SEE me ramble...here you go! That dialogue would probably drive me to distraction. It really wasn't terrible, just noticeable. It didn't detract from my enjoyment of the story. Ooh - I think I would like this one! On the list! Woo hoo Octavia Butler. Goodness, she was brilliant. She totally was. What have you read of hers? I can't remember. Great review, Andi, you made me really want to read this one. 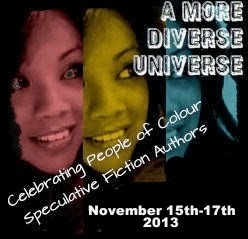 I've got a review scheduled for tomorrow for A More Diverse Universe, I'm loving the event. I didn't get to surf over the weekend much, so I'm looking forward to going back and reading your post, Sam! I loved this book and the relationships she makes with the other slaves as well, and the quandaries she faces because of the "reason" she is sent back in time. It was a nice twist when her husband became more involved in the story. Me too! I was also really surprised and interested that her husband got dragged (literally) into the mix. I thought that was a great development. This sounds so good. I've been wanting to read this author for a long time, but I never knew where to start. I think I've found the first book! This is where to start! LOL Although, I do think my enjoyment of this book was heightened because I'd read one of her short stories with similar themes in drastically different contexts. I've heard of this book but was kind of iffy before. Is it tough to read because the content is tough to hear? I think I want to read this one now. Umm, it's tough for the violence. It was really good, though. This was my first (and so far, only) exposure to Butler as well and gosh, the book packs a punch, doesn't it? I hear that Wild Seed is amazing, too. I admit many of her other stories don't appeal to me right off the bat because they have zombies or vampires and those sorts of things and I am not into those but if ALL OF THE PEOPLE say that they are so good, then I should just go for it, right? Doesn't it pack a punch? Just love it. I can't wait to read more of her novels. I'm usually not into the vampires and zombies and whatnot, but in Butler's hands, I think I'd give them a go. You're so welcome! I'm so glad I got to participate this year! I haven't read Butler at all but her work sounds rich and stunning! It is! It always surprises me somehow and always gets me thinking. I read this one over the summer, and while I thought it was interesting, it didn't quite blow me away as much as I'd hoped. I definitely plan to give more of Butler's work a try, though. I hope you like her stuff if you read more! I definitely think having read her short story, "Bloodchild," helped me appreciate this one more. Such wildly different contexts but many of the same issues. So interesting! 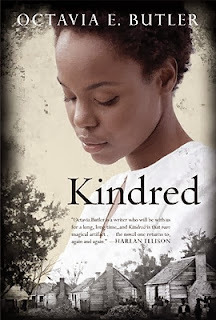 I just read Kindred for #diversiverse, too! I knew it was one of her early novels, written when she was still pretty young, and that it wasn't one of her award-winning books, but it gets mentioned so often that I really wanted to read it. The story gripped me right away and though there were some loose ends in the plot, I guess the story carried me along enough so I didn't notice any problems with the dialogue! Yes! I hear so much about it, I knew it's the one I wanted to start with. It sounds good to me. The dialogue would probably bother me too, but I can ignore that for a good story. Same here! It didn't detract from my enjoyment...just one of those things I noticed. I hope you like it when you get to it, Anna! I think so, too, Melinda!